You are warmly invited to 'Beneath the Surface' an exhibition showcasing the work of eight Southern Sydney textile artists. These works can be defined as '...contemporary explorations of hand and machine stitching on traditional and altered textile surfaces which have been painted, rusted and burnt then beaded, embroidered and embellished in various ways'. The artists featured include: Donna Boland. Janet Browne, Robyn Eves, Christine Kendratenko, Sandra Lyons, Gail Sadleir, Denise Sargo and Diane Simpson. A number of these women are also ATASDA members. 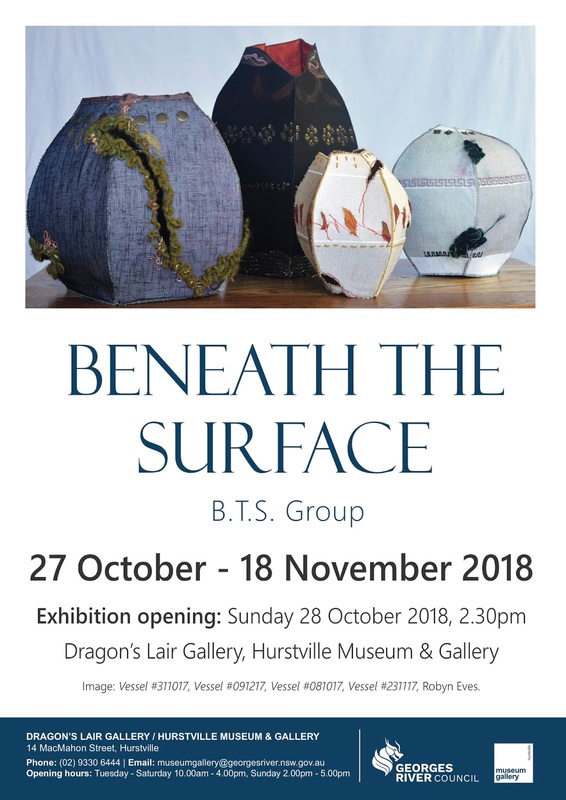 Beneath the Surface will run at the Dragon's Lair Gallery, Hurstville Museum and Gallery. The gallery is located in a picturesque Tudor style cottage at 14 MacMahon St, Hurstville. Exhibition dates: 27 October - 18 November 2018. Keziah Duguid's first solo exhibition explores self-perception and the role this plays in shaping our internal and external identity, including times when we have no clear sense of self. Large stitched organza works are placed in a dialogue with self portraits with small text-based objects that investigate the complexities and dynamics of friendships. It's an introspective look at experiences of emotion, mood, mental health and how these shape us and govern our decisions. Now in it's final weekend, an exhibition of one of our youngest members - not to be missed! Exhibition will run at Scratch Artspace from 18 - 28 October 2018. 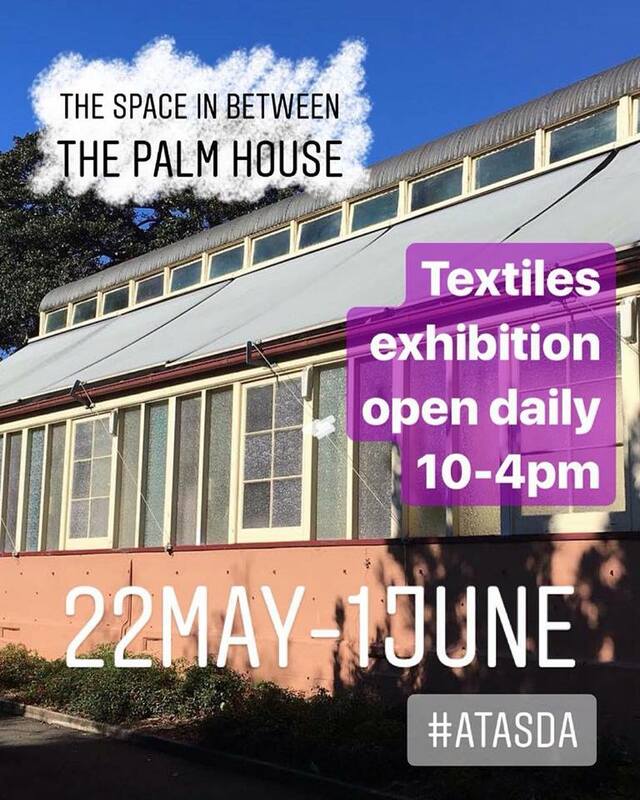 Saturday afternoon was the official opening of the ATASDA 2018 Palm House Exhibition - 'The Space IN Between'. We had a great turn out with wonderful Sydney weather. Many thanks to our generous Guest Speaker and Textile Artist Meredith Woolnough. The day started with a visit from the Sydney Sketchers Club, who then spent the morning drawing in the gardens capturing the beautiful Palm House building. We had a lot of guests to the exhibition throughout the day and a large number of sales of both artworks and shop items. With several works finding their way into new homes overseas! Pictured L-R: Meredith Woolnough, Rae Woolnough (NSW President) and Katherine Kachor (PH Convenor). The exhibition is in it's final week. Open daily from 10am to 4pm and closes on Friday 1 June at 2pm. We hope to see you there - so please drop in and say hello! ATASDA's biennial Palm House exhibition display's members' skills while responding to a theme. This year the theme is 'The Space IN Between' and is an opportunity for members to share their knowledge and encourage others to become 'textile lovers' and to celebrate their creativity. 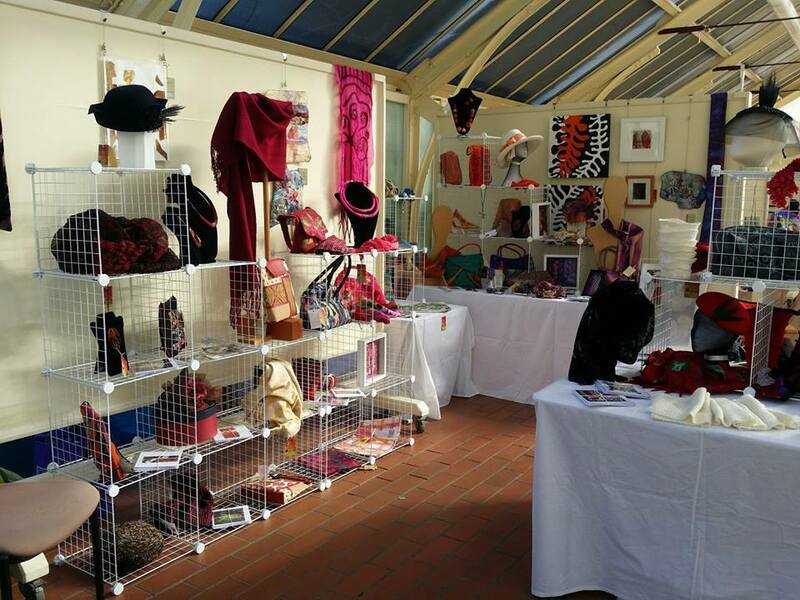 The artworks within the exhibition showcase a diversity within the textile and fibre art world. 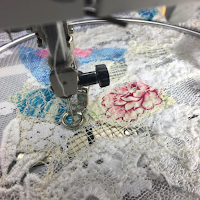 These include dyeing, printing, weaving, felting, machine and hand embroidery, millinery, surface embellishment, three-dimensional sculptural forms, basketry, bookbinding techniques, shibori, quilting, knitting and more. The exhibition showcases the talents and skills of our members. 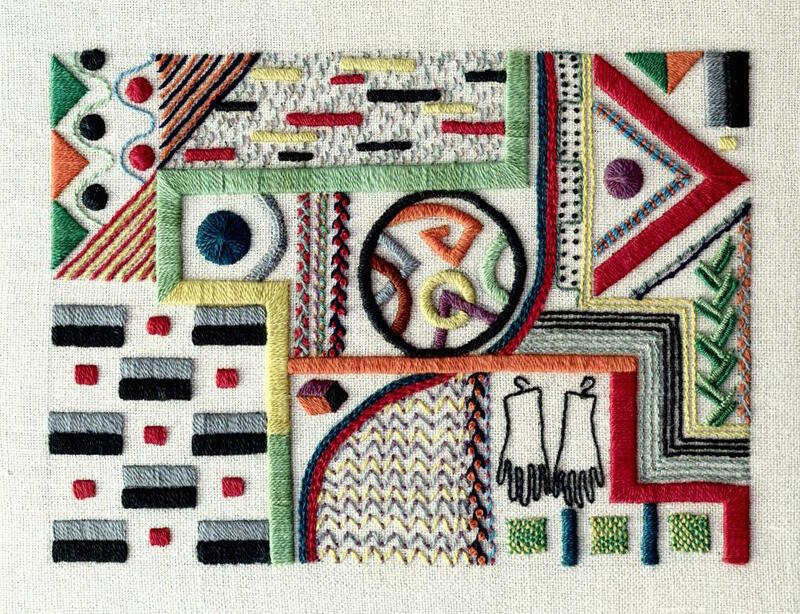 Works appeal to one's sense of adventure, love of traditional fibre art skills and the textile 'unknown', challenging and taking the opportunity to pass on traditional fibre art skills and inspire future generations of textile and fibre artists. Accompanying the exhibition is a shop of member works. High quality original textile and fibre wearables and decorative items are available for sale. 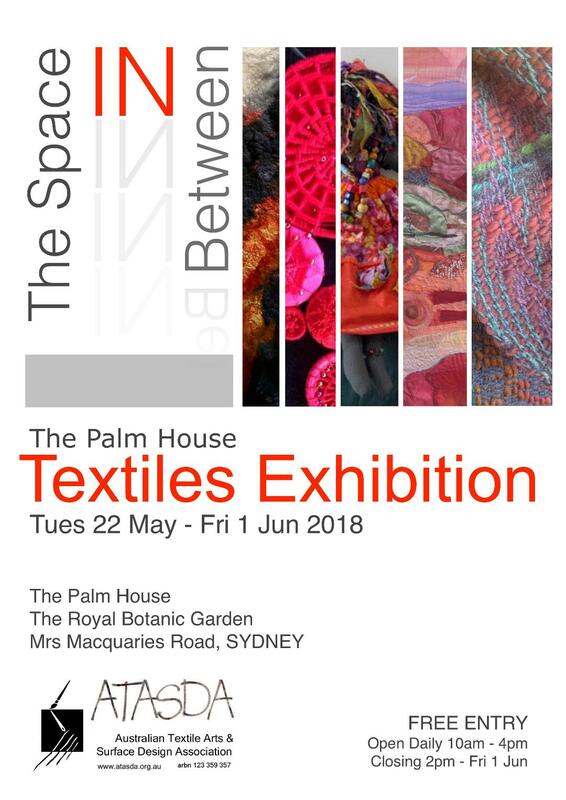 The exhibition is open daily from 10am to 4pm from Tuesday 22 May until Friday 1 June 2018 (when it closes at 2pm) in The Palm House at the Royal Botanic Garden, Sydney. Please join us for the official opening on Saturday 26 May 2018 at 2pm with Guest Speaker and Textile Artist Meredith Woolnough. 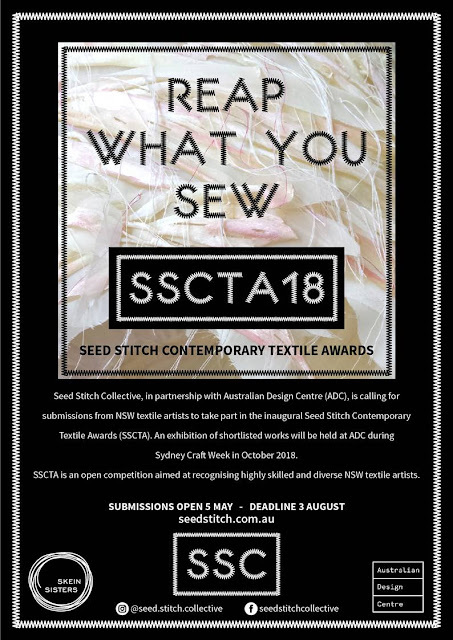 SSCTA are seeking submissions from textile artists at any stage of their career residing in NSW to participate in the awarded exhibition hosted at ADC's William Street gallery in Sydney. 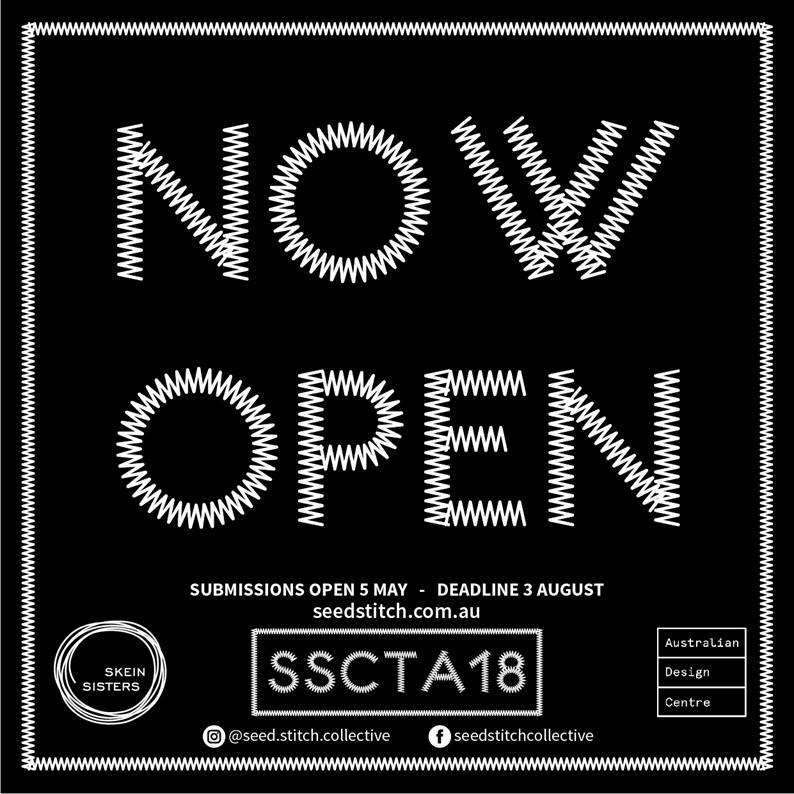 Submissions open: 5 May 2018. Sydney Living Museums is excited to announce that entries are now open for the 2018 Meroogal Women's Art Prize, with a prize pool of over $10,000. Female artists from across NSW are invited to submit works, in any medium, that respond to Meroogal and its sense of place. Selected artworks will be displayed throughout the property, throwing new light on the personal stories of the people who once lived there and the rich collection of objects that are still contained within the house. The Meroogal Women's Art Prize is a regional, non-acquisitive competition and exhibition. 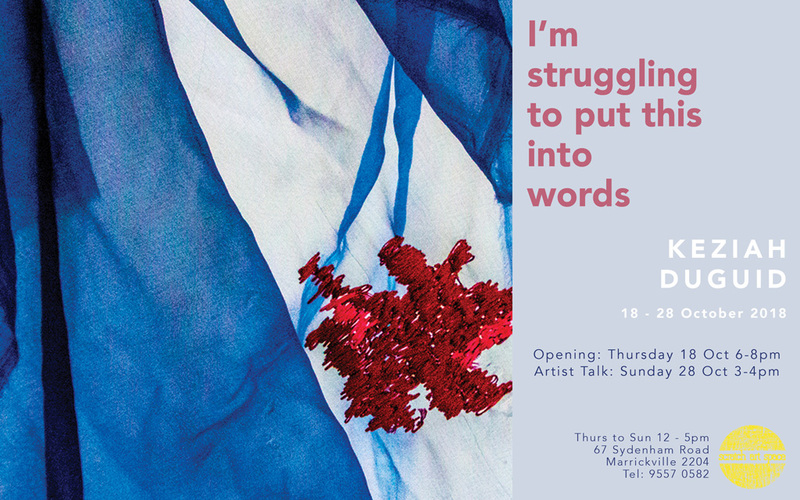 It is open to a work of any medium made by a woman aged 18 years or over who is a resident of NSW. The entry fee for each artwork is $30 with a maximum of 2 works. Entries close: 31 July 2018 at 4pm. Selected artworks for display in the exhibition will be displayed throughout the house, gardens and grounds from September 2018 to March 2019. Extended until Sunday 20 May 2018 at the Powerhouse Museum in Ultimo, Sydney. Love is... Australian Wedding Fashion. From the simple to the stunning, Love is: Australian Wedding Fashion features more than 50 wedding outfits plus accessories covering nearly 200 years of Australian weddings. The exhibition includes Australia's first surviving wedding dress from 1822, gold rush fashions, elegant 1920s gowns, unconventional sixties styles and spectacular contemporary designer fashion, as well as garments reflecting Australia's culturally diverse communities. Memorabilia, photographs and letters reveal the stories and traditions behind the outfits within the context of the social, economic and political changes in Australian society. 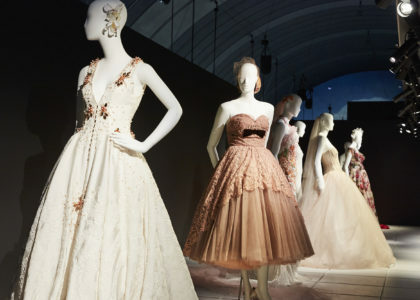 The exhibition showcases examples of exquisite contemporary gowns from well-known Australians (a wiggles wedding and Nicole Kidman's gown among others) at the vanguard of international wedding fashion. The Powerhouse Museum is open daily from 10am - 5pm.